When Darwin visited the Galapagos Islands, he found many kinds of finches there, each with a beak perfectly suited to the kind of food the bird commonly ate. The finches had adapted to their surroundings! 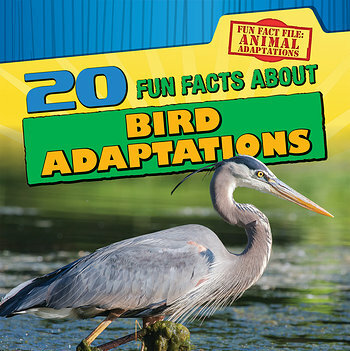 Wing size, migration patterns, and more are all part of the fascinating bird adaptations included in this book. Readers explore all kinds of birds, bird behavior, and more in an entertaining format and colorful layout. Graphic organizers and full-color photographs complement the main content as readers fly from one fun fact to the next.